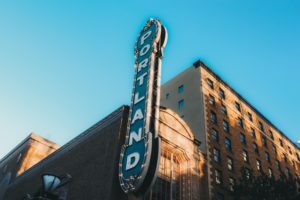 If you have an upcoming trip to Portland, Oregon, you have probably become familiar with the local hotel scene as part of your planning. For those looking for more of a luxury experience, the prices in the greater Portland area are at an all-time high. The common misconception that luxury amenities come at a luxurious price is only solidifying. That is what sets Nordic Inn and Suites apart from the rest. We are a family owned motel and have been in the industry for over 20 years. We have worked hard to offer amenities at an unmatched value without jacking up our prices. Nordic Inn and Suites is a cheap motel in Portland where you don’t have to sacrifice the comfort, cleanliness, safety, or luxury. If you are searching for a cheap place to start in Portland, you have come to the right place. What comes to mind when you think of a cheap motel? We can guarantee that Nordic Inn and Suites is not your stereotypical idea of a motel. All of our rooms have been renovated, giving guests the feel of a high-end hotel when they walk through the doors. In our opinion, cleanliness is not an amenity but a necessity, and we take that very seriously. We want our guests to feel refreshed and rejuvenated upon arriving as well as when they leave. You won’t find a cheaper place to stay in Portland with our amount of attention to detail! Our affordable rooms are filled with the little riches that make all the difference, including fine bed linens and memory foam to sink into after a days’ activities. Plush, designer bedding and a thoughtfully designed interiors set the tone for a relaxing vacation. Yes, you can enjoy a lavish stay in a cheap Portland motel, just minutes from the airport and outdoor adventure. Sip on free Portland coffee while you watch HD TV. Our premise is pet-free, so those with allergies can rest at ease. At Nordic Inn and Suites we take security very seriously and are sure to maintain a well lit and regularly monitored parking lot. Our newly remodeled rooms come with all of the basics that you need to make your stay easy and stress-free, including a hairdryer, microwave, refrigerator, free parking, and 24-hour front desk customer service available should you have any questions or concerns. Our staff members are passionate about the motel experience and are dedicated to making each guest’s stay a pleasant and memorable time. So whether you are in Portland for business or pleasure, you have the option of staying in a cheap motel that feels more like a high-end getaway. Our reviews speak for themselves – our guests love the quality they get at such a low price. We also hold a TripAdvisor Certificate of Excellence 2018! If you are looking for a luxury experience at a motel price, you have come to the right place. Take the stress out of your next trip to Portland, Oregon and choose Nordic Inn and Suites for an experience of unmatched value. Leave your fears of grime behind, and book one of our beautifully renovated rooms starting at just $80 a night! Forget corporate-owned, big-brand hotels with over-the-top prices. Put that money towards truly experiencing Portland’s variety of local attractions – coffee shops, rooftop bars, endless outdoor adventure, shopping and so much more! Portland is a beautiful place to visit whether you’re there for business or pleasure. With a wide variety of attractions and a friendly community, the city has a lot to offer no matter how long you plan to stay. When you’re planning your trip, you need to make sure the Portland motel you choose adds to the great memories you’re going to be making. That’s why you should choose the Nordic Inn & Suites in Portland for your next trip. It provides the comfort of home while you’re away with lots of great amenities added in. The Nordic Inn & Suites in Portland is a beautiful and welcoming Portland motel for your travels. We are proud to offer a wide variety of features that will make you feel at home when you’re away. Our hotel has been family-owned for more than twenty years, giving us a homey feel compared to corporate-owned hotels chains. Our friendly staff is ready to make your stay more comfortable, including daily maid service. Our unmatched value and amenities will ensure you can get business done on the road and that you’ll have everything you need during your stay. If you need a boost getting started in the morning, we offer free gourmet coffee from 7:00 a.m. until 10:00 a.m. every morning. 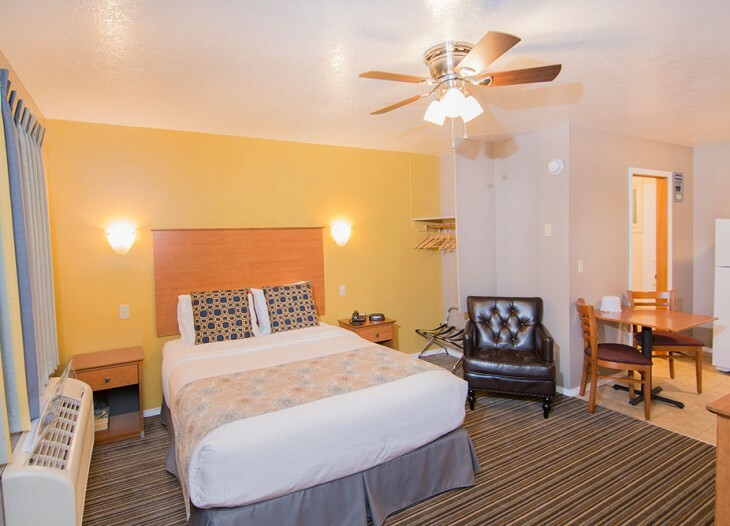 Whether you’re visiting Portland on a business trip or for a relaxing vacation, the Nordic Inn & Suites in Portland is your best choice for a comfortable, cost-effective Portland motel that offers everything you need to be comfortable while you’re away from home. From a great location to business-class amenities, the Nordic Inn & Suites will be your favorite home away from home whenever you visit Portland. 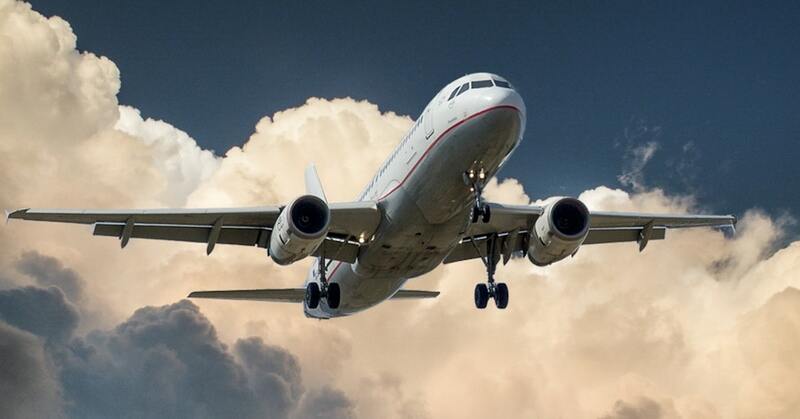 Air travel is stressful—no matter how many hours in the air you have under your belt. In fact, The Telegraph named “getting to the airport” the second most stressful part of flying in their “20 Reasons Why Air Travel Is So Stressful” article. Portland’s increasing population puts more drivers on the road each year, often bringing traffic on major throughways to a halt during rush hour—and coincidentally, just when you need to get to the airport. Inclement weather can also slow your journey to and from the Portland Airport, or worse! You can easily avoid these travel stresses by staying at Nordic Inn & Suites, one of the best-valued motels near Portland Airport. How far is Nordic Inn & Suites motel from the Portland Airport? Nordic Inn & Suites motel is 4.7 miles from the Portland Airport. In a car, you can drive to the airport within 12 minutes. That’s about as close as you can get! The motel sits near NE 122nd Avenue, which is a direct shot to NE Airport Way. That’s the road that feeds directly into the airport. And it’s also considered a “back way” to the Portland Airport, reducing the chance that you’ll get stuck in traffic. But that’s not the only way to get to the airport while staying at this Portland motel. There are two other major routes. You can take I205 or NE 105th Avenue, which turns into NE Holman street before intersecting with NE Airport Way. In case there is road construction on one of the routes, you have other options to get to the airport on time and without stress. Don’t have a car? Don’t worry! You can still make it to and from the airport in less than a half hour. The MAX Red Line shuttles travelers between the airport and the Parkrose/Sumner TC MAX Station, near I205. From the transit center, you can take a bus along Sandy Blvd., which stops at a bus stop located only one minute away from Portland Nordic Inn & Suites motel. What makes Nordic Inn & Suites one of the best-valued motels near Portland Airport? Nordic Inn & Suites isn’t your typical motel in Portland OR. Many people think that major chain motels have fancier, more deluxe accommodations. However, Nordic Inn and Suites in Portland, Oregon has many of the same amenities as some of the finer hotels in the area. Portland Nordic Inn & Suites is also well-known on TripAdvisor for its ultra-clean, recently updated rooms and facilities. With rooms starting at $80 a night, it’s no surprise that this is one of the best-valued motels near Portland Airport. Are you searching for the right accommodation in Portland? Consider staying in an independent motel. Independent motels in Portland, Oregon often sit in central locations, offer high-quality amenities, and personal service for less than what you would pay at a chain motel or hotel. Plus, when you stay at an independent motel, your dollar goes directly into the local economy. With the average daily rate of hotels in Portland, Oregon nearly pushing $200 per night, motels are a much more affordable option. Clean, comfortable and safe motels will cost about half of what you would spend at a hotel. Nordic Inn and Suite, a family owned motel in NE Portland offers rooms that start at $80. From major cities to rural communities, small businesses are the backbone of local economies. Mom-and-pop shops, small manufacturers or the local diner are not just key to growth, but a part of the country’s social fabric. 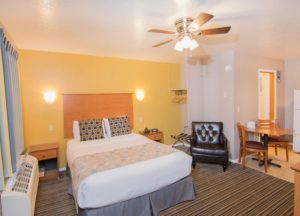 Unlike many of the major hotels and chain motels in the city, a lot of motels in Portland, Oregon are independent establishments owned by hard-working families who want to make sure you enjoy your stay in the City of Roses. Next time you find yourself looking for accommodation in the city, consider booking a room with an independent, family-owned motel. You don’t have to book a room at the Hilton to stay in a convenient part of the city. Portland is home to many eclectic neighborhoods that fan out of the downtown area. Each neighborhood is unique and offers shopping, entertainment and accommodation options. Best of all, a public transportation system made of up buses, streetcars, and a light rail system connects the neighborhoods together. Most independent motels in Portland, Oregon exist in these neighborhoods. Nordic Inn and Suites is conveniently located in the Parkrose neighborhood near the airport and on a major boulevard that takes you directly into downtown Portland within minutes. If you’re planning on visiting the Columbia Gorge while you stay in the city, Nordic Inn is a 2-minute drive from I-84, which takes you directly to some of the most beautiful waterfalls and hikes in the state. The front desk staff at independent motels are often also the owners. They have a vested and personal interest in you enjoying your stay and coming back. 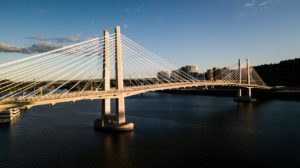 As small business owners, they will have intimate knowledge of the surrounding areas and will be able to make excellent recommendations for things to do, see, eat, and buy in Portland, Oregon. Visiting Portland with kids is tough. From worrying about whether there’s a kid’s menu to finding fun affordable activities for the whole family, the hurdles can seem endless. But it doesn’t have to be that way. With a little digging, you’ll find a plethora of things to do and places to eat with kids in the city of roses. There are even places to stay that won’t break the bank. Here are our favorites. Pick a batter, choose your sweet or savory fixins, and start frying your own pancakes right at your tabletop grill. Kids love the squeezy bottles of batter and the Easy-Bake factor. The all-day breakfast menu stretches beyond flapjacks, and the big kids at the table can enjoy a boozy brunch thanks to the well-stocked bar on site. At Slappy Cakes, breakfast is not only the most important meal of the day, but the most fun too! Another favorite amongst Portland families, Mississippi Pizza has outrageous slice pizza deals from 11am to 5pm. Be sure to check out the pizzaria’s event calendar to find out what’s playing at its music venue and the kid’s entertainment lineup. Slow-cooked meals just like your mom makes, chandelier lighting, and an extensive, reasonably-priced kid’s menu makes Mother’s sophisticated enough for adults, yet still affordable for the whole family. True to its name, Mother’s features a special rotating menu created by contributing moms from around the world. A unique, family-centered dining experience in downtown Portland. Both booze and babies get the green light at Laurelwood, a family-friendly neighborhood spot for great food and even better beer. With two patios, two kids’ play areas and a warm atmosphere, you can tell that this establishment was opened by parents with young children. Visit the wildest place in Oregon with your own tribe. In one day, explore elephant lands, spy on the predators of the Serengeti and commune with animals of the Pacific shores. The Oregon Zoo is located in Portland’s picturesque southwest hills inside Washington Park, which is also home to the city’s world-famous International Rose Test Garden, the Portland Japanese Garden, and sweeping views of the metropolis. Climb aboard a real submarine, journey through space and explore an entire science playground for kids of all ages. OMSI is ranked as one of the top science centers in the United States and offers rotating, jaw-dropping exhibits. For under $10, your child will have an afternoon chock full of learning and fun. Instead of investing in expensive objects to keep in glass cases, the museum uses every-day materials to create exhibits for children to learn through play. For a day, your youngster can construct buildings, save animals, create masterpieces, and more. Make this year’s holiday season one to remember. Every year the houses of Peacock Lane in SE Portland deck their Tudor-style houses with holiday lights and cheer. Pick up a cup of complimentary (donations appreciated) hot cocoa or cider and meander down the lane in the evening with your loved ones from December 15 to 31. Best of all, it’s 100% free. Are you looking for the best STEM summer camp for your child? Can’t find the right sports equipment for your mini-me? In search of special-needs services for children? KidFest Northwest is THE place to access the latest information, products and services for your child. While you cruise through hundreds of informational stands, your kid will find plenty of things to do. Rock climbing, go-carting and a petting zoo are all on the docket. Join Portland’s Rose Festival Junior Parade and march with thousands of other school children through NE Portland. Expect elementary and middle school marching bands to lead the way followed by kids in costumes parading with floats, pets and parents. Don’t miss the city’s biggest summer event just for children. Spend a day at The Pumpkin Patch on Sauvie Island, the largest island along the Columbia River, 10 miles northwest of downtown Portland. Every autumn, The Pumpkin Patch clears a larger-than-life corn maze for all ages. Free hayrides will take you out to U-pick pumpkin fields. And the farm’s big red animal barn is sure to delight your little creatures with its many kinds of furry and feathery friends! 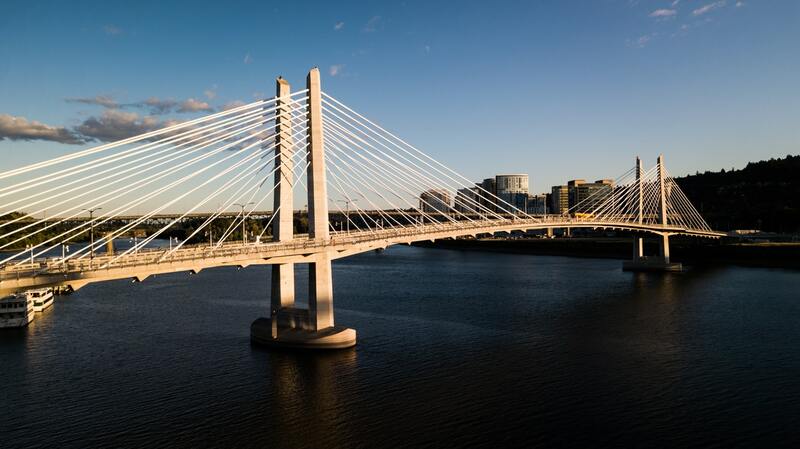 Make your next trip to Portland an affordable and enjoyable one. Nordic Inn & Suites is the place to stay if you’re looking to travel on a budget but still want quality. Newly updated rooms and business-class amenities ensure that you and your family will enjoy Portland to its fullest. The motel is conveniently located in NE Portland, close to lots of family-friendly activities. Inexpensive hotels are some of the best-kept secrets. Many people overlook these when planning a vacation because of these common stereotypes. The un-maintained stereotype. The biggest and most common stereotype is that the room is not cleaned or maintained. When you think of motels, you may picture unkempt rooms that receive little attention. 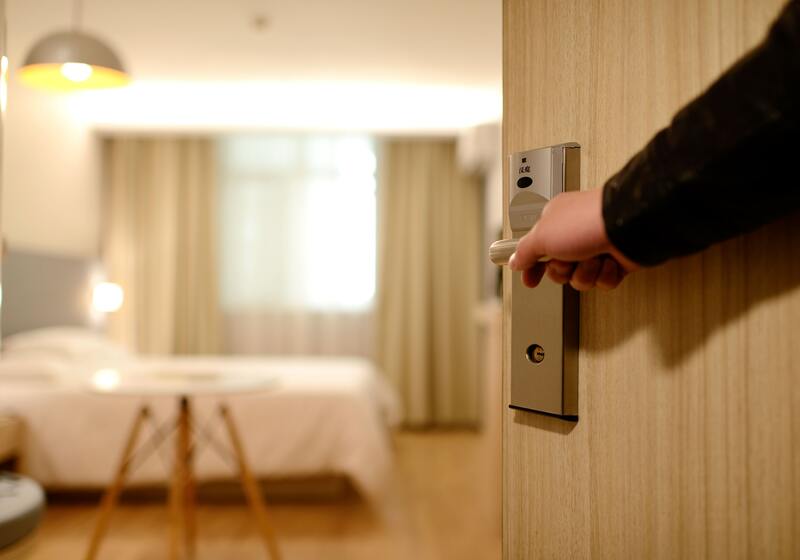 Today, inexpensive hotels meet high hygiene standards higher than some larger chains, which means it’s time to think of these hotels when your traveling. These hotels aren’t in the best locations. People assume they want to be as close to attractions as possible on their stay. In fact, those hotels that are in slightly less popular areas may make driving to attractions easier. A lot of times you’ll benefit from less traffic and great parking at an inexpensive hotel. This means you can bring your own car along and explore the nearby area with less headache. They don’t have other amenities. Things like breakfast, kitchenette, and swimming pools. Actually, what people don’t always think about is inexpensive hotels have these amenities and more. Each room in Nordic Inn and Suites has been recently updated to include ultra-fine bed linens, memory foam pillows, and plush, designer bedding. These updates place our affordable rooms on-par with much more expensive hotels, all within our allergy-friendly, pet-free premises. It’s better to book online than by phone. Many people assume you get a cheaper rate booking online and for some larger chains you might. With an inexpensive hotel, you can call the hotel directly and ask it to beat the offer. The hotel has more flexibility over the phone because the transaction isn’t public. And remember that the room rate is just part of the package. Hotels often have more flexibility with inclusions like parking, internet, breakfast and upgrades. The stereotype that certain nights of the week are more expensive than others. Inexpensive hotels mostly set rates on inventory-based algorithms and it doesn’t matter if it’s Wednesday or Friday. If the beds are filling up, the rates are going up. And there are thousands of conventions and events spanning any week, almost all of which you are totally unaware of. Just because it’s Wednesday doesn’t mean a large convention isn’t in town. The world of hotels and travel is full of misconceptions. While your average inexpensive hotel may not provide the luxury you’re seeking from a large hotel chain, it can still provide you with the amenities you need for an enjoyable stay. All of this comes at a cost-friendly price, allowing you to save your budget on other areas of your trip. At least five essentials should be found in any budget hotel booking. The first, and most important, is safety. No hotel booking is a bargain if it requires sacrificing safety. A budget hotel in an iffy neighborhood is out. At the very least, you are looking for a setting where there is proper lighting and a security presence. But neither of those variables might matter if the surrounding blocks are unsafe. It’s also good to have surveillance cameras in common areas, 24-hour security and a front desk that is staffed at all times. Properties that have invested in such amenities deserve more consideration, even if their room rates are a bit higher. Portland Nordic Inn & Suites is located in a safe and well trafficked area of Portland, and we offer all of these safety measures to our patrons. It’s only natural to expect fewer creature comforts in a budget room. You’re paying for a place to sleep and clean up, not for luxury hot tubs, balconies with sweeping views, or chic furniture. These concessions aside, no one should ever sacrifice cleanliness for a better price. A room might be inexpensive, but that doesn’t mean it should be dirty, smelly, or moldy. Health concerns that proceed from filthy conditions again raise the safety question. Are you willing to risk illness to save a few dollars on a room? The good news is that filth does not necessarily correlate with low prices. Many budget operations are small, family-owned properties, where cleanliness is a high priority. In fact, one study concluded luxury hotels actually are more germ-ridden than budget rooms. Budget hotels should have convenient access to public transportation. What constitutes a budget-priced room? If your answer is the room rate, you’re only partially correct. A cheaply priced room that is 20 miles from the geographic focus of your trip is more expensive than than a slightly higher-priced stay in a convenient location. The cheap room will require expenditures of both time and money for transportation that eat into the room-rate savings. It’s a relative bargain to spend an additional $15/night for a room that is a short walk from a public transportation stop or train station. The same might apply to hotels that offer free parking. In some cities, parking easily accounts for $100 or more in the course of a three-day stay. But sometimes, that parking charge is simply added to the room rate. Therefore it pays to compare costs after the parking charges are added. Portland Nordic Inn & Suites is located near downtown with access to Portland’s world famous public transportation system. Cost overruns for dining frequently damage a well-intended travel budget, sometimes beyond repair. Dining out is expensive and costs are difficult to estimate with accuracy. 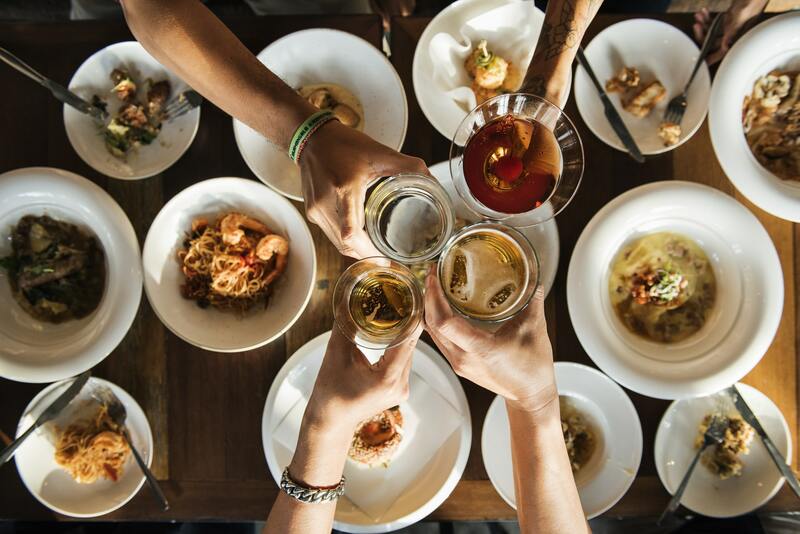 If your travel party can partake in a breakfast that is already paid for in the daily room rate, it’s possible to economize on lunch and save meal money for a nicer dinner. Some budget travelers prefer splurging on a large, late lunch before eating a light dinner. Either way, the free breakfast is a budget booster that should receive primary consideration in the booking decisions for a budget trip. Another cost that mounts quickly connects you with Internet access. Oddly, many first-class hotels charge $20/day or more for such connections, while many budget hotels offer wireless access at no charge. Although the free access is sometimes weak and unreliable, it will save money. While it may not seem glamorous to stay in a budget hotel, the experience can actually serve better than some of the Big Brand hotels. Nordic Inn and Suites offers amenities at an affordable rate so you can get the best out of your stay. Finding time to take vacation can be tough, but finding affordable portland accomodation doesn’t have to be. Let Portland Nordic Inn & Suites help you plan the perfect break for your health and relaxation. Taking time off from work or the daily grind not only helps people de-stress and feel happier, but it also helps productivity and mood—as long as you do it right. But the barrier to entry is high, since many Americans don’t even take their allotted vacation time. Fewer Americans are going on vacation now than in the past: Data suggests that Americans used to take nearly three weeks of vacation a year in 2000, but took just slightly more than two weeks in 2015. Even when people are on vacation, more than 60% say they keep working remotely. The type of vacation matters, of course. If planned poorly, a vacation can actually lead to more stress. According to a 2010 report, a vacation where there’s lots of travel stress, like figuring out transportation logistics or feeling unsafe, can make vacationers feel less happy and more frazzled than they were before the trip. Taking the time to plan the trip can help ensure things run smoothly. In that same survey, 28% of people who said they had a bad vacation also said they left planning to the last minute. The first and most important step is accommodation. Portland Nordic Inn & Suites is the top rated portland accommodation that won’t break your budget. With affordable rooms, free breakfast, HBO, and clean comfortable beds, Portland Nordic Inn & Suites is just what you need to have the relaxing vacation of your dreams. With the right Portland accommodation, anyone can have the perfect vacation.